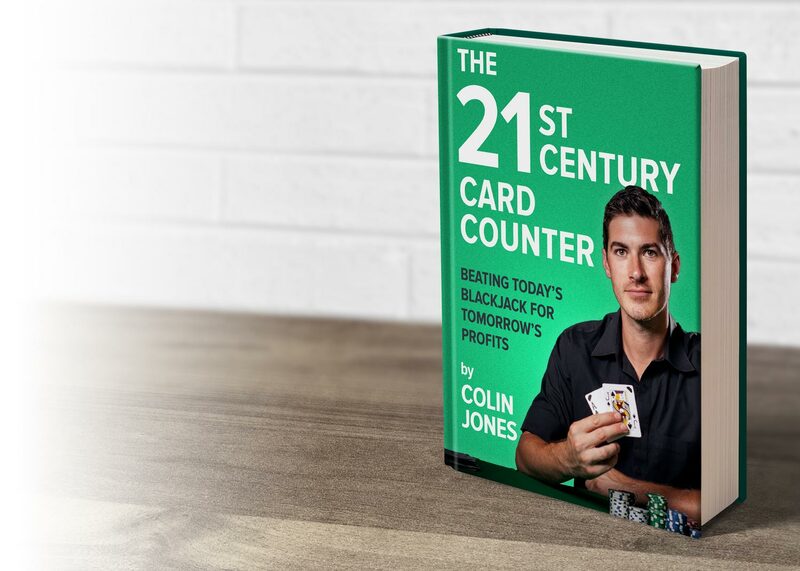 Here's a snippet of my book "The 21st Century Card Counter: Beating Today's Blackjack for Tomorrow's Profits" due to be published March 2019, by Huntington Press. P.S. Read the full first chapter FREE here! You know why you got into this: You want to take the casinos’ money. You’ve memorized the charts and perfected your game. You’ve got your bankroll together, scoped out the games at the local casinos, and now it’s time to put it into action. You sit down at a table and go to work. The count hovers for a bit, but before long, it skyrockets. You raise your bet and after that hand, the count goes up even more. Time to raise to three units. Even more small cards come out and it’s time for six units. The guy next to you makes a comment about how much you’re betting, but after that round, the count has gone even higher. Only a few short minutes ago, you were betting one unit, but now it’s time to bet 10 units. Are you going to do it? The shoe ended with your top bet out and it’s time for the dealer to shuffle. Do you have the courage to drop back down to one unit to start the next shoe? When you feel like the pit boss, the dealer, surveillance, and the whole rest of the world are watching your every move, it doesn’t matter how perfect your skills are; unless you have the nerves to implement everything, you won’t beat the game. I was a good example. Like I mentioned earlier, when I was first training at a casino, I was too timid to ask for a comp. When I finally realized that the only way to make the job work was to face my fears, I did exactly that. If you want to make it as a card counter, I guarantee you’ll have plenty of fears of your own to overcome. The experience is a bit different for everyone. What Scares You the Most about Card Counting? Take a minute and be honest with yourself. Is it the fear of conflict (with the casino or other players at the table)? The fear of getting backed off? The fear of what your friends and family think about what you’re doing? Now consider if you have what it takes to overcome this fear. It can help to visualize your fear. What will you feel, literally in your body, when players complain about you? When the dealer is hustling you for a tip? When the phone is ringing in the pit? When the pit boss arrives flanked by security guards and asks you to step away from the table? Then, what will you do about it? Ironically, just like when I was afraid to ask for a comp, you’re worried about nothing. Therapists and psychologists teach their clients how to use the cognitive part of their brain to overcome the emotional part of their brain. You can literally talk your way down from fear. You can also overcome fear through practice, commonly known as desensitizing. A common issue that comes up during training is that players feel pressured to make a decision at the blackjack table before they’re ready. It can feel like a pressure-cooker situation—the dealer and players are staring at you while you’re updating the running count. Then you’re silently considering your playing deviations and calculating the true count to arrive at a decision. Everyone else is expecting a decision faster than you’re prepared to make it. So rather than taking the 10 seconds to formulate and execute the right decision, you give in to the pressure and just make a rushed decision. This needs to be amended. To help trainees for the Church Team overcome this, we made them pause the game for a full minute when it was their turn to make a decision. Pausing the game for a minute feels like an absolute eternity when everyone is staring at you. But what you learn from trying it is that you have nothing to be afraid of. The world doesn’t collapse if you just sit there like an idiot for 60 seconds. And you actually feel empowered. You have the freedom to make the right decision, however long it takes. The dealer, the other players, the bosses, the whole universe literally cannot do anything until you’ve made a hand signal. So the next time you need an extra ten seconds to make the correct decision, remember that getting the decision right is all that matters. All it takes is to overcome the emotional pressure. Then it’s a breeze to make the right decision. Contrast this with the cost of not overcoming the fear. You won’t play properly, you won’t bet properly, and instead of a disciplined investor, you’ll be a gambler relying on instinct and hope instead of math. The reality is that everyone experiences fear. If someone claims he’s fearless, he’s either lying to you or lying to himself. The only question is how you’ll handle your fear. Most likely, the risks involved in trying to mitigate your fear aren’t as great as the risks of doing nothing about it. For a truly inspiring story of fearless card counting, read Repeat Until Rich by Josh Axelrad. The first half is about his experiences with a large-scale blackjack team, and how they relentlessly attacked casinos in the face of fear. The second half is about his battle with online poker addiction, which is fascinating and worth reading for very different reasons. Can you overcome your fears? Be brutally honest with yourself. 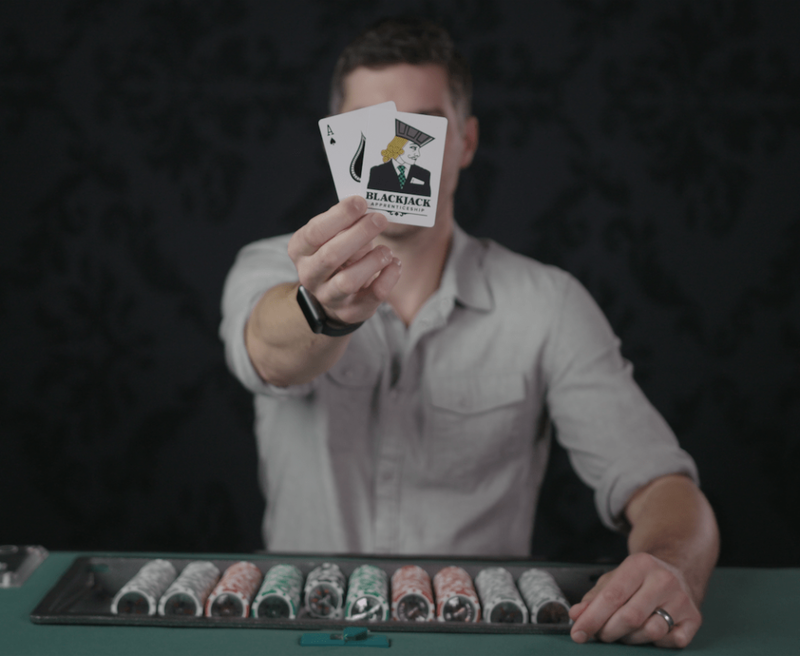 If you’re certain that you can’t or you’re not sure if you can, that’s okay, but card counting probably isn’t for you. If you believe you can, I guarantee you’ll be glad for the experience. Speaking for myself, I’m a different person because of how card counting taught me to face fear, along with conflict, uncertainty, and wild emotional and financial swings. The lessons I’ve learned from card counting have extended far beyond the blackjack tables and casinos. They’ve challenged me to grow, to become a much more confident and whole person. Below are some questions you may be asking yourself at this point. Q: What if the pit boss says no? A: Who cares! Shrug it off, or if you really can’t handle being told “no,” take your chips and go to the next casino. Q: What if I’m backed off? A: Then it’s on to the next casino. I’m there to beat them at blackjack, not for social reasons, and certainly not to be their favorite person. Q: What if the other players start complaining about how I play? Q: What if I just lost the last 10 hands? Should I change my strategy? A: No! We champion math, not streaks, hunches, or superstitions. We follow the system like robots, playing and betting perfectly hand after hand after hand. Q: Aren’t there risks involved in moving your bets from one to 20 units and back? A: Sure there are. But the risks are greater from not doing what you set out to do. At the end of the day, you need to ask yourself if you’ll be more disappointed if you get backed off, or if you don’t play in a way that makes you money. If it’s the former, then be honest with yourself and realize that you’re more interested in being a gambler than an investor. Q: Don’t you think it was risky to trust the people on your blackjack team with large amounts of money? Couldn’t they just steal it and not get caught? A: Absolutely. And we did everything in our power to mitigate that risk. But if we would have let that particular fear paralyze us and never ran the blackjack team, we would be guaranteeing failure before we even started. While pessimists say you can’t make money from card counting unless you’re an idiot-savant, it’s just not true. I know plenty of successful card counters making upwards of multiple six figures a year. But it takes the right kind of person to have success at the tables. Without the proper skills and personality, you likely won’t make it. But for the right kind of person, there are more casinos than any time in U.S. history—and money waiting to be taken from them. Whether it’s the right fit for you is up to you to decide.